RUSH: All right. As to Trump and Moscow, I did not see Fox & Friends today, which is where Trump admitted to spending the night. 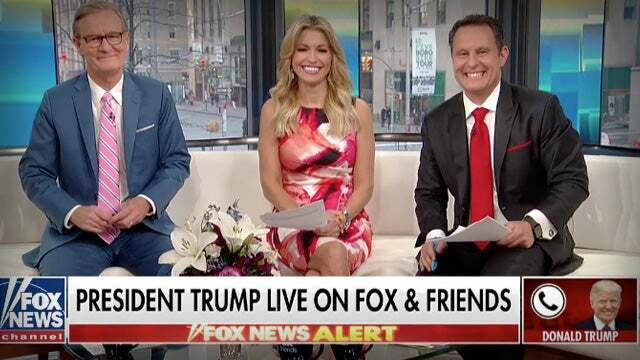 In fact, about Fox & Friends, apparently — I’ve had three people today who are — well, two of them are avid Trumpers that are literally in love with the guy, and one is very hopeful that Trump succeeds because he despises the left. All three of these people have told me that Trump nearly came unhinged in his interview today. That it looked bad and it sounded bad and, “Gee, I hope a lot of people didn’t see. I don’t mind Trump’s tweets, but this today was — oh, oh, ah, man, he was so wound up. This did not look good, Rush.” I didn’t see it. But I do have some audio sound bites from it. So we’re gonna leave the legal system discussion for just a second and get to these sound bites, because the first one has to do with spending the night in Moscow. “Yes, and I don’t know why he would, but, yes, he told me twice he never did.” Trump is saying Comey is the liar, that he never told Comey he didn’t spend the night there. There’s a story from TheHill.com from a couple hours ago. Trump said he did spend the night, the night before the Miss Universe pageant, and accused Comey of lying in memos detailing their conversations. 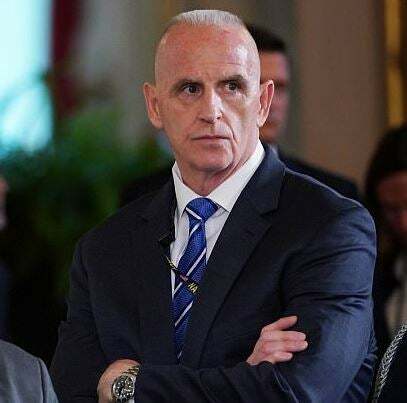 By the way, Trump’s bodyguard, Keith Schiller, if you remember the Trump campaign and all of the rallies, there was a Marine buzz cut, big guy that was the first off the airplane, and he was constantly patrolling the stage, and most everybody probably thought he was Secret Service. But he’s a former New York cop named Keith Schiller, and he was as close a security and protection confidant as Trump has ever had. When Trump won the presidency, they created a new title for Keith Schiller: director of Oval Office operations. It was Keith Schiller who delivered the letter to James Comey’s residence, “You’re fired” while Comey was in the air flying back from an appearance in LA. Keith Schiller has since been dispatched. He’s no longer there. But Keith Schiller, who was Trump’s bodyguard during the Miss USA pageant during this whole disputed period of time in Moscow, Keith Schiller testified under oath back in November that he was with Trump that evening in Moscow. That was the evening the Miss Universe officials offered to send five women to Trump’s room. Schiller testified that he and Trump laughed about it, that Trump went off to bed. Schiller stayed outside Trump’s door. THE PRESIDENT: Comey is a leaker and he’s a liar. And not only on this stuff, he’s been leaking for years. It’s all classified. He did an illegal act, and he said it himself, in order to get a special counsel against me. They’re phony memos. He didn’t write those memos accurately. He put a lot of phony stuff. For instance, I went to Russia for a day or so, a day or two, because I own the Miss Universe pageant so I went there to watch it because it was near Moscow. So I go to Russia — I go there, everybody knows the logs are there, the planes are there. He said I didn’t stay there overnight. Of course I stayed there. I stayed there a very short period of time, but of course I stayed. Well, his memo said I left immediately. I never said that. RUSH: So there you have it, Trump saying Comey is lying. Now, I’ll tell you what fascinates me about this. When you say, “Yeah, I went to Moscow. I spent a few nights, I spent the night there, I spent a few hours there. I came right back.” Look. Moscow is eight hours ahead of us. The length of time it’s gonna take to get to Moscow is gonna be 10 hours. It’s a long trip if you go nonstop. Trump’s plane could back then. I think he could. Even if you have to stop, it doesn’t matter. It’s a long trip. So you got at least — well, it’s six and a half to eight to London, depending on winds, then you go on from there to Moscow. You have the eight-hour time difference plus this. So the time you get there, spending the night in Moscow could have been in the afternoon. I’d have to look at the logs. And then the trip back, which happened the next day. I mean, he was not on the ground what everybody thinks is a 24-hour, 36 hour period. He gets there probably just in time to get off the plane, get over to the pageant, watch it, get back to the hotel for a couple winks, give his crew some rest, head back to the airport, get on the plane, and come back. THE PRESIDENT: He’s got good taste. I get along with Kanye. He sees black unemployment at the lowest it’s been in the history of our country. Okay? He sees Hispanic unemployment at the lowest it’s been in the history of our country. Women unemployment the lowest it’s been in now almost 19 years. He sees that stuff, and he’s smart, and he says, “You know what? Trump is doing a much better job than the Democrats did.” People don’t realize, you know, if you go back to the Civil War, it was the Republicans that really did the thing. Lincoln was a Republican. I mean, somehow it changed over the years, and I will say I really believe it’s changing back. RUSH: Look, how have you hear that, he’s exactly right about this. He’s totally, a hundred percent right about it. The Democrats throughout history have always been the segregationists. They were the ones that ran the south. They were the ones that owned the plantations. They were the ones that wanted to secede from the union because of slavery and some other things. They were the ones, as late as the 1960s, barring doors to cafes and diners and colleges and so forth, keeping African-Americans out. It was Bull Connor, Democrat, turning the fire hose on the protesters at Selma and any number of other protests that were led by civil rights groups and leaders like Martin Luther King. And somehow in the midst of all this, all this ended up being blamed on Republicans. The Republican Party was founded and Abraham Lincoln stood for preserving the union, which meant outlawing slavery! The Democrats did not do that. Now, he says Kanye knows this and Kanye knows that and Kanye — it’s debatable what Kanye knows. But Kanye’s instincts here are right on the money, and he doesn’t like being told by a bunch of people what he can and can’t say. He doesn’t like being told what he has to do and can’t do. He doesn’t like being told he can’t think for himself. And now he’s finding out what happens, as is any number of people on the left find, what happens if you stray from the family, if you stray off the plantation. And Chance the Rapper. Is that the guy or is it Chase the Rapper? (interruption) Chance the Rapper has come out, and he’s now supporting Kanye on the basis that, “Hey, just because they’re black doesn’t mean they can’t tell us the way we have to think, can’t tell us how we have to act.” So I’ve asked people. I’ve asked people that have been studying sociological things for a while, “Do you think Kanye is gonna make a difference? 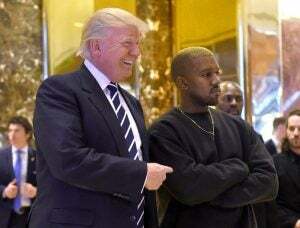 “Do you think Kanye’s actually gonna cause other African-Americans to follow him and leave the Democrat plantation?” And most people I ask say, “Naw, naw probably not, but what he’s doing is important.” I tell you the reason why they’re scared to death on the Democrat side is ’cause they know that Kanye’s audience… And, look, I’m not trying to be dismissive here. But Kanye’s audience is basically low-information voters. They don’t follow the news, they follow pop culture — and the left owns pop culture, and pop culture has been politicized for who knows how long. So it’s within pop culture that low-information people end up thinking and voting and acting like liberal Democrats. So with Kanye abandoning all of that — either in support of Trump or in his demand to be able to think for himself — it’s the low-information crowd that’s informed on politics via pop culture that’s gonna see it. That’s why the left is worried. He’s got 27 million Twitter follows. What if they all/many of them end up admiring his guts and his courage? That’s why they’re trying to destroy him and that’s why they’re now trying to destroy the Kardashians and anybody else that Kanye has… You know, wait ’til they sic Snoop Dogg on him. Snoop Dogg’s one of these guys think Trump’s ought to be shot. You know, when De Niro and Snoop Dogg and Fiddy start turning on old Kanye, wait ’til you see what happens then. (interruption) Fitty is a Republican? You’re telling me Curtis Jackson, 50 Cent, is a Republican? (interruption) Well, blow me away. THE PRESIDENT: I answer this all the time. Because of the fact that they have this witch hunt going on with people in the Justice Department that shouldn’t be there — they have a witch hunt against the president of the United States going on — I’ve taken the position — and I don’t have to take this position, and maybe I’ll change — that I will not be involved with the Justice Department. I will wait ’til this is over. It’s a total… It’s all lies, and it’s a horrible thing that’s going on. A horrible thing. I’m very disappointed in my Justice Department. You know, I’m getting blue in the face talking about this, but this is really big stuff to me. This is damaging to the point that I don’t know how you fix it. Like all these other traditions and institutions the left is destroying in the last year and a half in their pursuit of Donald Trump, how does this stuff get fixed? Who is gonna do it? The people that actually need to be punished when this is all over, are they going to be? Who’s gonna do that? There are people getting away with lying. There are people getting away with lying to the highest levels, lying to FISA judges. There are people perpetrating a totally fake document that has been used to substitute for real intelligence, which was then used to get a warrant to spy on Trump and his campaign. And it’s totally made up, and it’s paid for by Trump’s opponent! And it’s being treated as legitimate intel. Which, by the way, legitimate intel is not used in criminal proceedings, because it can’t pass any evidentiary test. It’s not collected as evidence. It’s collected as intel and then people analyze it and make judgments on it as to whether it’s accurate or not, how accurate it is, whether it’s worth anything or not. It is nowhere close to evidence. It’s not looked at the that way, and yet it’s being used. 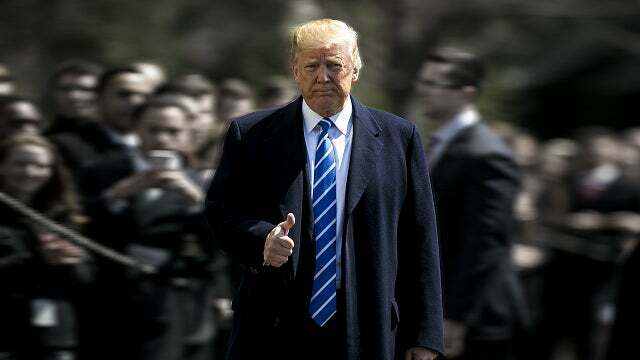 A phony, fake dossier — opposition research made up out of whole cloth that nobody can verify — is being used as evidence to get spy warrants, is being used as evidence to pursue criminal charges against Donald Trump. I mean, this is a bastardization of our system, and it’s the system, the rule of law that’s the glue that holds the country together. I know there have been chinks in its armor before and times where the criminal justice system has been politicized and corrupted and so forth. I know nothing’s new and I know that this country has weathered many challenges and so forth. But this is being perpetrated by the very people in power in order to protect their positions of power even while they engage in their own quasi-criminal activity and behavior. And if they get away with it, the damage here is major, because others are gonna think they can do the same thing. You know, it’s the honor system. I’ve mentioned this a couple times. We really, in this country, have relied on the honor system. The Constitution is, when you get right down to it, what? It’s a piece of paper. What’s the enforcement mechanism? What happened if you violate it? What happens if you break it? Well, more and more, nothing. What has…? We’re a country over 220 years old. How is it that not once in these 220 years has a president or a sitting, powerful individual in some ranking division of our government not attempted to tear it up and become a dictator-tyrant? The honor system. 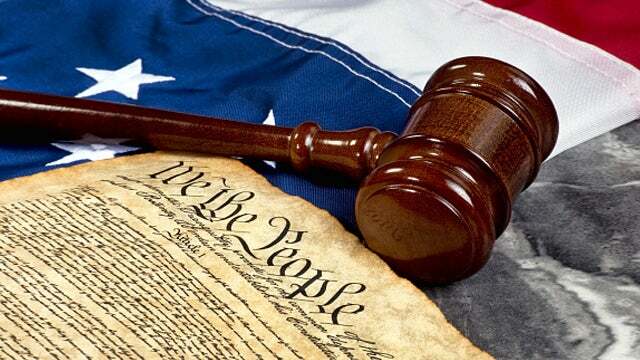 The respect for, the reverence for the Constitution and how it came to be. Our Declaration of Independence, the founding of this country, a reverence and a respect for it. Well, we all know that there is a rising percentage of people in this country that don’t have any reverence for this country or its founding or its founding documents. But up to now we’ve always had a majority of the people who did. The honor system is what makes the rule of law work. But if the rule of law is going to become bastardized to the point that only political opponents are going to be held accountable to the law, then we’re gonna end up being no different than any little tinhorn dictatorship that you find everywhere else around the world. “Rush, that’s an exaggeration. We’re never gonna…” Ah, you think that. You think that. But it doesn’t take much to give bad people the idea that they can get away with it. THE PRESIDENT: A percentage of my overall legal work, a tiny, tiny little fraction. But Michael would represent me and represent me on some things. He represents me, like with this crazy Stormy Daniels deal, he represented me. And, you know, from what I see, he did absolutely nothing wrong. He’s got other things. He’s got businesses. And from what I understand, they’re looking at his businesses. And I hope he’s in great shape. But he’s got businesses. And his lawyers probably told him to do that. But I’m not involved, and I’ve been told I’m not involved. 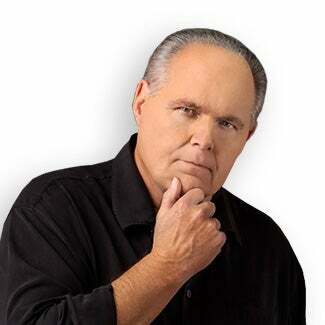 RUSH: He’s not involved, and he’s been told he’s not involved. “And Cohen has businesses. He’s got businesses out there. But he did represent me, like with this crazy Stormy Daniels deal, he represented me.” Now, I can see why an ardent Trump supporter might be made a little nervous by that, but that’s not because Trump sounds unhinged. It’s just that this is why people are afraid that he would talk to Mueller. That sound bite right there is why people do not want him getting anywhere near Mueller. But I can tell you Trump thinks that he can explain himself to anybody. You do not know confidence if you don’t know Donald Trump. The man is so confident of himself. He loves himself so much. He believes that he can sell himself to anybody. He believes that he could talk Mueller out of it with the power of his personality, his power of persuasion. And folks, I just want to let you know, do not worry. Everybody in his orb is telling him of the danger. There’s nobody that doesn’t know it. But that sound bite right there, that is why people are worried about Trump talking to Mueller. Here’s the final bite that we have. And here Trump is talking about Iran and how Obama just made a mess of all of that. THE PRESIDENT: Iran is a real problem for this country. The president made a horrible deal — when I say “president,” I’m talking about past administration — made a horrible deal, giving $150 billion, giving $1.8 billion in cash, in actual cash carried out in barrels and in boxes from airplanes. It’s inconceivable, $1.8 billion dollars, and all they do is scream “Death to America. Death to America.” And, by the way, they’re not screaming it so much anymore. They were screaming it with him. They don’t scream it with me. RUSH: And there you go, the Iranians turning out liking Americans now with Trump there, but not so much when Obama was there. So, again, I didn’t hear the whole interview. Just had these five sound bites. I didn’t hear an unhinged Trump, but as I say, I’ve talked to three people who watched it today, and they all three are for Trump, they want him to succeed. Two of them are rabidly in love with the guy, and they have expressed a little concern it might have been a little over the top. I didn’t hear that. I just heard Trump address some things that maybe he shouldn’t have brought up or mentioned in some people’s minds, and that might be why they were a little nervous. But the big thing to come out of the Trump interview today on Fox & Friends for me is that Comey’s running around all over the place claiming Trump told him he never spent the night in Moscow, and Trump made it clear today that he’s never told anybody he didn’t spend the night because he did.